Widely used angle grinders machine among amateurs tinkering (UŞM), Popularly known as Bulgarians. With their help, handyman can not only perform the grinding work, but cut metal, plastic, a rock. Angle machines produced by different manufacturers, including domestic. Angle machine is a reliable tool, which can be operated, with proper maintenance and timely replacement of grease and carbon brushes, for a long time. Choose the right grease for the Bulgarian not only extends the life of the tool, but also improves the performance of. Knowing the rules for choosing a lubricant for Bulgarian or preparing their own hands, You can perform maintenance, without contacting customer service. The angle grinding typewriters primary node, are subjected to the greatest stress at work, a reducer, consisting of helical gears. torque, generated by the rotor grinders, It is transmitted from the rotor to the tool through a small helical gear to the large spur gears. A correctly selected lubricant for gear significantly reduces the friction force and the heating temperature. The grinder used bearings, which also requires periodic lubrication. This applies particularly to the supporting spindle bearing a large spur gear. Suitable such lubrication, which corresponds not only to the above requirements, but also environmentally friendly. Lubricants for Angle cars are required to have certain characteristics, and should be required consistency in properties. a tensile strength of not less than 120 on. Lubricant for LBM must not have any mechanical impurities, be resistant to corrosion, held firmly to the lubricated parts, not melt at high temperatures, prevent the formation of burrs at the contact parts and of course have a water repellent. The angle grinders every company uses two types of plain bearings: bearings for the electric motor and the thrust bearings for gear. Selection of lubricant for the bearings of the electric motor is different from the selection of lubricants for the gearbox bearing. All the matter in different operating conditions. 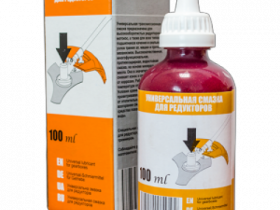 Foreign tool makers, including angle grinders, recommended as lubricants for Bulgarians specially designed ointment. One of the common foreign grease lubrication is marked MoS2 NLGI 2 ISOL-XBCHB 2 51825-KPF 2 K-20. figures 51825 means, the grease is of the type K.
Lubricants, produced with such characteristics, They are expensive. In the Russian market there are imported, less expensive lubricants. Each instrument manufacturer, whether Bosch, Makita, Hitachi, DeWalt, Metabo, RedVerg, Interskol, E256, Leps, recommends its lubricants. It is the policy maker. they insist, to the case of service applies the lubricants, which are specified in the instructions. And, failure to comply with these recommendations does not perform warranty repairs. Lubricant for the gearbox LBM Makita produced in tubes. Its high cost is proportional to the high quality and long service life. With the growth of the foreign lubricants prices, especially popular steel grease domestic producers. 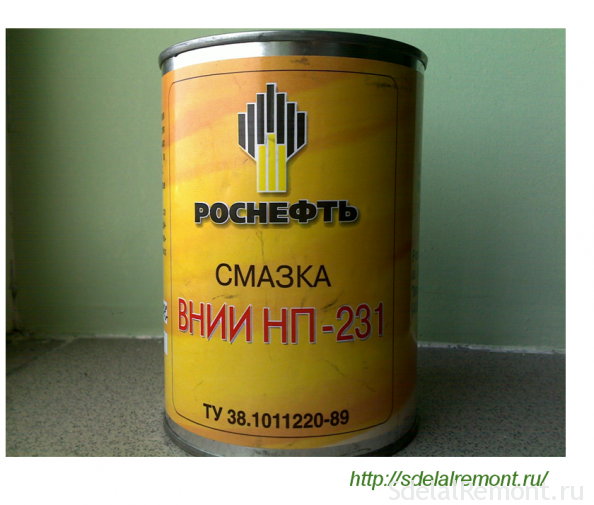 Russian manufacturers of lubricants learned to produce high-quality grease, to any tools suitable. Lubricants designed for gear sanders, Drifters, drills. In the construction machine is set Angle three bearings. Two bearings are mounted on the rotor tool, a bearing mounted on the shaft of the driven spur gear of greater diameter. The bearings used angle grinders, already filled with grease. But against misuse, instrument overheating lubricant flows. How to choose the right lubricant for the bearings grinder? Terms of the motor bearings are different from the operating conditions of the gearbox bearing not only because of the temperature requirements, but also because of the operating modes, load mode, frequency and rotational speed. 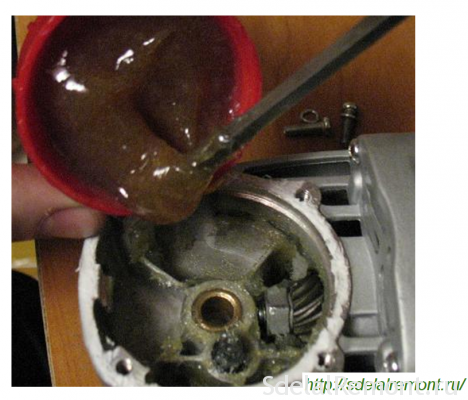 Grease the motor bearings should have protective properties, preventing dirt, dust and moisture into the bearing parts. 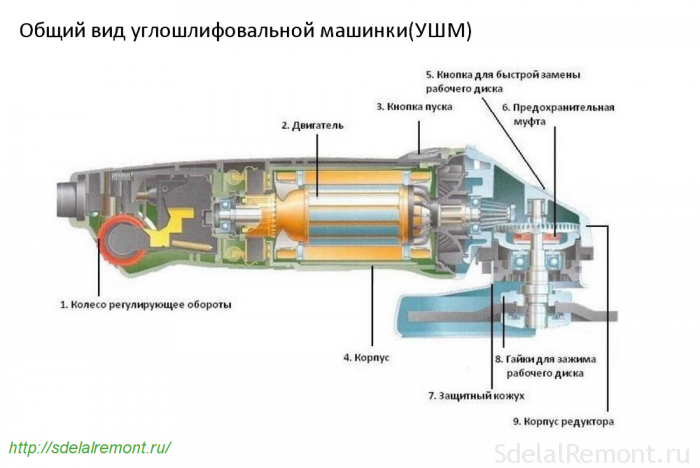 In the Russian market a wide range of foreign lubricants, intended for the bearings, operating under different conditions. But their cost makes the search for cheaper, not inferior in quality, domestic lubricants. 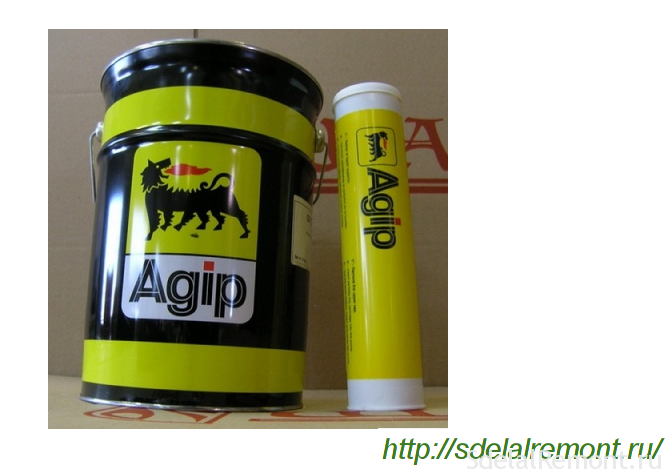 From domestic lubricants we recommend paying attention to Ciatim-221 grease, VNIINP-246 (GUEST 18852-73), VNIINP-235. With its high water repellency, they have a wide temperature range. The role of thickener therein operate organic and inorganic substances. For closed bearings are best used CIATIM-203 grease, VNIINP-242. Of pigmented lubricants for motor bearing lubrication widespread blue VNIIMP-246 and dark purple ointment VNIINP-235. First lubrication due to high prices is less common, than the second. 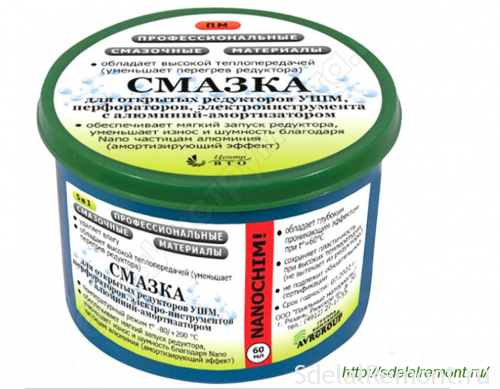 In today's Russian market domestic manufacturers of lubricants presented in a wide range of products. Grease for gear grinders different from bearing grease main feature - improved adhesion. It should keep your teeth for a large gear as it rotates. In general, the process of the gear grease in the angle grinding typewriters is due to the fine spray lubricant and suspensions. Reducer operates as if in a mist. 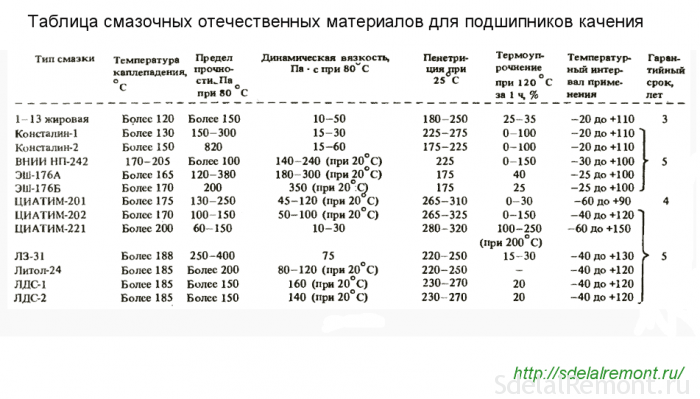 Therefore, the lubrication requirements for the gears are slightly different. In addition to increased adhesion, lubricant for gear should have a high heat resistance and do not melt at elevated temperatures. These lubricants domestic production although affordable, but not always at hand. And this question has an affirmative answer. Because the basic specifications of lubricants for gear LBM presented above, they can be used as a basis for drawing up the necessary lubrication characteristics with their own hands. The basis of the self-made lubricant for gearboxes must be grease, possessing high adhesion. It should hold fast on the contact details. 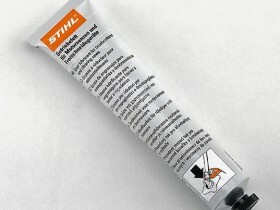 It has improved adhesion for lubricant SHRUS. Constant velocity joints - a joint in the front wheel drive car, working in conditions of high contamination, shock, temperature variations and humidity. Taking the grease for constant velocity joints, you must add the liquid lubricant(MS-20) to impart the desired consistency weight. MS 20 should be served by dropwise Oil, carefully vymeshivaya mass by means of a self-made mixer. Good results are obtained mixture Ciatim-grease mixture was 221 and the TAD-17, where the basis is Ciatim. Stuffing lubrication units Angle machine has its own rules. We need to know not just how it is applied, but also as, and where it is placed. Grease on the grinder varies according to plan maintenance tool, the replacement of defective parts or gear rotor bearing. The old grease is dirty dark color. This is due to the ingress of foreign particles into it or metal dust. The old grease is always completely removed regardless of its color. On the details should not be traces of old grease, and in the cavities housing the destroyed parts particles. To remove the old grease, you can use a variety of liquid wash-off, motorists used for washing motor and its parts. At home, it is recommended to use naphtha or kerosene and gasoline solution. All parts and cavities should be thoroughly washed and dried. New grease before application thoroughly and apply a thin layer. The bearing lubricant is applied by printing. If grease in a plastic tube, It puts the spout tube to lateral bearing separator and pressed to leak from the back side. If the amount of lubricant in the bearings is controlled by leaking it from the back side, in LBM gearbox stuffed a certain amount of grease. Excess grease will flow during operation. A small amount of it will not provide quality work gear. The gear unit should be left as much grease, it takes the teeth of the gears were covered. Apply a landmark for many lubrication, that it takes up a little less than half the volume of the cavity reducer. Control volume packed in grease reducer made trial inclusion collected grinder briefly in idle mode. 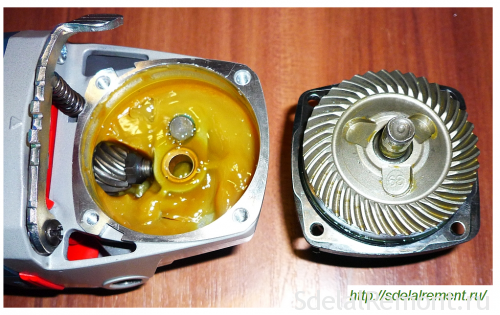 If the gearbox started to warm up, of seals and gaskets appear traces of grease leakage, the conclusion is clear. You shifted grease. 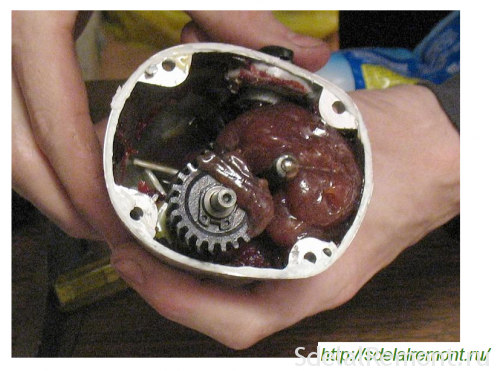 Open the gear housing and remove excess grease. All excess lubricant will be placed on the covers of the gearbox housing. Insufficient amount of grease in the gearbox is determined by increased noise reducer works. After prolonged use angle grinders lubrication in the gearbox housing is allocated on the walls and on the outdoor exposure loses its properties. Opening the gear cover, carefully inspect the lubrication condition, Profile gear tooth. if you know how, Check the gears contact patch. The presence of particles of dry or dried lubricant in the gearbox area or on the body says, that the lubricant change time has come. Do you want to place the information in this or any other article - contact, discuss. In fact, in “typewriter” applied not bearing skolzheiya (sleeve), and anti-friction bearings (classic ball- or rolika- bearings). 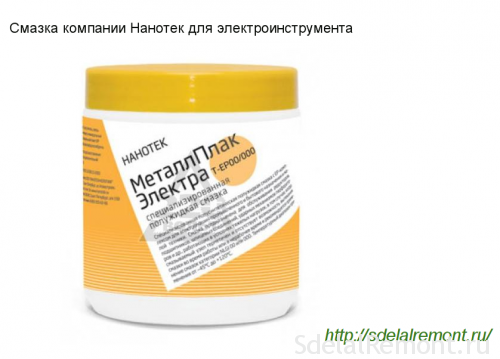 website SdelalRemont.ru - It will help you make the repair of an apartment with his hands efficiently and economically. Due to the chosen photo and video materials, You will learn about all the repairs in the apartment, from A to Z! If you have found a mistake in the text, select it and click Shift + Enter or Press here and we will quickly correct the error. Thank you for your error message. In the near future we will correct.